Caitlyn Jenner didn't like this Kim Kardashian look... | HELLO! February 04, 2016 - 14:15 GMT hellomagazine.com The star didn't hold back! Kim Kardashian got a lot of stick for that Met Gala dress. And it turns out her stepdad Caitlyn Jenner wasn't a fan of the floral Givenchy number. In a recent Q&A at the Makers Conference in California, the 66-year-old acknowledged the opinion-dividing dress, calling it 'ugly'. "I don't know, it still pops up its ugly head every once in a while, you know?" she added, before backtracking by saying: "Actually it's kind of nice." 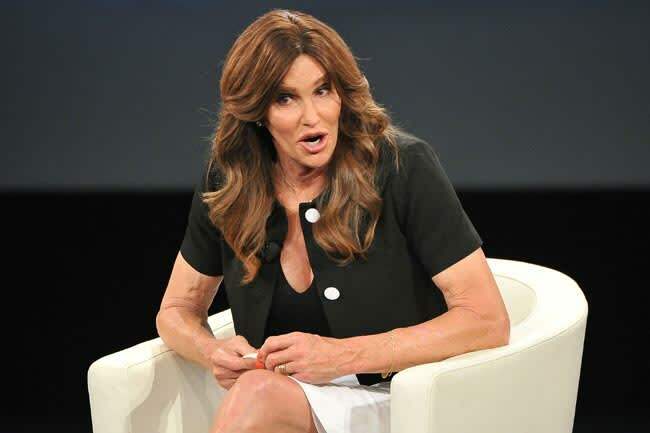 We have a feeling Kim won't mind Caitlyn's comments – the mother-of-two did already showed her sense of humour about the look when she used it as a Halloween costume back in October. "I'm totally into [socialising] now. Let's get dressed and let's go out!" she said.